They arrived at the Rio Olympics barely 30 hours ahead of their opening game, but Nigeria’s Dream Team 6 (not Super Eagles as many mistakenly refer to them) now stand 90 – perhaps 120 – minutes away from contesting the gold medal. In other climes, such an obstruction might be considered a remarkable turnaround, but for Nigeria it is par for an obstacle-strewn course. Off the field, their tribulations read like a litany of sorrows. On the pitch, they have looked imperious in all bar one game, against Colombia, when they were already safely advanced, and their rhythm broken up by the obligatory wholesale changes that coaches make to rest players. Still, there was collateral damage suffered, with livewire Oghenekaro Etebo taken off injured, missing the quarterfinal and unlikely to play any part of significance in the coming semifinal. Through these tribulations, there has been one lightning rod drawing in the thunder claps of officialdom’s bunglings to buffer the rest of the squad: John Obi Mikel. Talk of a “calming influences” are usually hackneyed cliches, but in this case Mikel has been a literal embodiment. When the flight arrangements were botched in Atlanta and a hurried arrangement made for a substitute aircraft, Mikel objected to flying in what he considered a “small aircraft” that would have left the players cramped and fatigued. The next day, Delta stepped in to provide a befitting aircraft with proper comforts. None of the other players would have had the gravitas to pull off such a demand. He was also at the forefront of a training boycott to press home their demands for unpaid allowances to be settled. And when the Nigerian contingent ran into trouble with their hotel, he forked out $4 600 to bail his country out before he was refunded by Nigeria’s sports ministry. What has really stood him out, though, is his ability to shut out all of the noise when he steps on the pitch. “There have been a lot of challenges, but every time we go onto the field, we forget about everything and make sure our fatherland comes first,” Mikel said. Deployed higher up the pitch, the Chelsea midfielder has brought the same steadying influence he has outside of the lines. Watching him in action, it is hard to see him as both a player and the man who has to liaise with the coach, field phone calls from ministers, negotiate payment for the squad, meet with government officials who come visiting – all while trying to rally the troops. Perhaps it comes from a hunger to achieve. Mikel stands behind only Nwankwo Kanu as Nigeria’s most decorated player. The one thing keeping him behind, the one thing missing from his glittering collection of silverware is an Olympic gold medal. It looks a deficiency he is determined to correct. It helps that the 29-year-old is playing under the guidance of a coach who knows him all the way back to his cadet days. Samson Siasia coached and protected Mikel in his early days and protected him through the heady days of his chaotic 2005 transfer dispute between Chelsea, Lyn Oslo and Manchester United. The former Nigeria international believes in him so much he risked public ire to depose Ahmed Musa as Nigeria captain and instal Mikel in his stead. 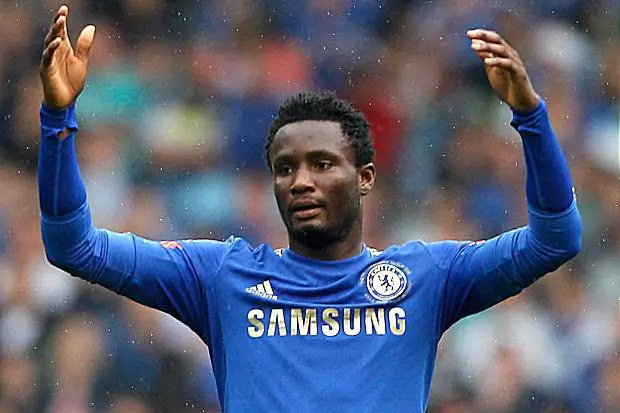 There were some rumblings when Mikel was picked as one of two overaged players in the squad, with some sniggering that he wanted to put himself in the shop window ahead of the inevitable boot or bench from new Chelsea manager Antonio Conte. Instead, Mikel has shown, once again, that his class is enduring. His teammates have recently christened him “Odogwu” which in the Igbo language translates to a respected leader or great man. The last player to be so christened by teammates was Kanu, who led Nigeria to Olympic gold in 1996. Surely, there is a message hidden in there somewhere? Germany, scorers of 19 goals already (OK, 10 of those were against Fiji) stand in their way. And they have plenty of quality and experience to unleash against Nigeria’s sometimes hot, sometimes cold, and sometimes just plain invisible defence. There is additional liability in the loss of midfielder and vice-captain Azubuike Okechukwu, whose boneheaded invitation to an unnecessary yellow card now leaves his team hamstrung going into a critical contest. But there is now added motivation for Mikel to deliver a birthday present to the one coach who has never wavered in his belief. Such is the tenacity of Mikel, you can be sure that the Dream Team 6 will be focused on making that promise a reality.